M1s come second to Old Georgians going down 5-2 in a high quality, open match. East conference winners, Old Georgians, were the last visitors to Trent Park for the M1s this season with their star studied line up. The match got under way at a high tempo reflecting the quality of both sides, but it was OGs who opened the scoring through their GB international Sam Ward at a penalty corner. They extended their lead ten minutes later through James Tindall who was allowed sufficient space to unleash his tomahawk giving Chris Rae in the Southgate goal no chance. Southgate regrouped at half time and within two minutes of the re-start got one back, Thaddeus Rivett putting away the rebound off the post at a penalty corner. Another couple of minutes and Southgate were level thanks to a sublime finish from Alex Williams. OGs were on the rack at this point, and Southgate were unlucky not to take the lead after a diving Timmy Smyth couldn’t quite get on the end of a cross with Oscar Jensen in the OGs goal already beaten. The let off seemed to wake OGs once more and it was Tindall getting his second that put them back into the lead. From the subsequent restart, Southgate conceded possession cheaply and Tom Doran took full advantage to get OGs’ fourth. It was now a long way back for Southgate, and despite their best efforts it was not to be as Mathew Ming extended OGs lead two minutes from time via a penalty corner. 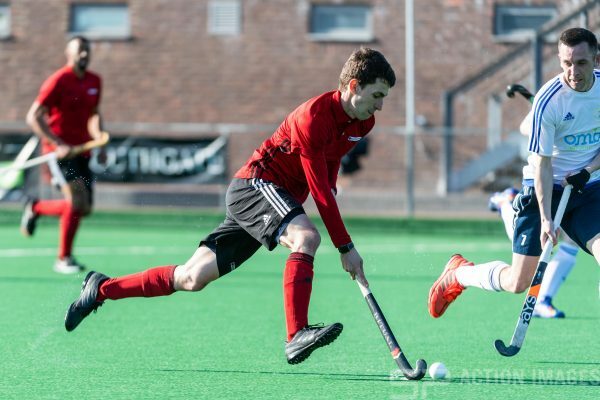 The M1s travel to Oxted on Sunday for their final match of the season now knowing they will finish fourth in the table, but having already guaranteed Division One hockey next season.